I can smell Spring from wind and fresh green sprouts shot up. I still feel cold in the early morning and late night but spring has come to us because I can see ajummas wear sun visors! Spring has finally come to ajummas. 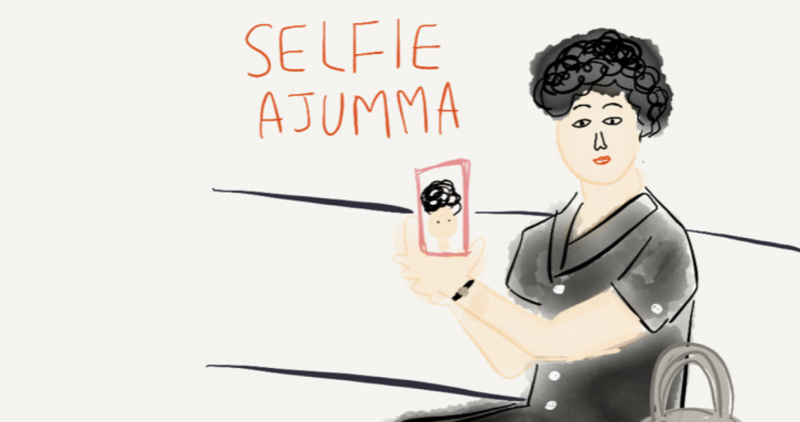 Posted on 29 Mar 2016 by moon ajummaPosted in Smart Ajumma (English)Tagged ajumma, ajumma fashion, ajummarous, Korean ajumma, Korean women, smart ajumma, Spring has come, sun visors. Next Next post: Digital Ppal-let-ter is now on YouTube as well!